Delightful Mother’s Day Gift Ideas Under $60! How do you thank the woman that raised, loved and cared for you? No amount of money can truly show ones appreciation towards their mother, but every year on this special day we try to honour her. I routinely end up with a small gift + flowers for my mother Amira (means Princess in Arabic). My mother, a kind hearted loving woman, doesn’t like to be showered with extravagant gifts and prefers charming and dainty ones instead. I definitely had her in mind when creating this collage. 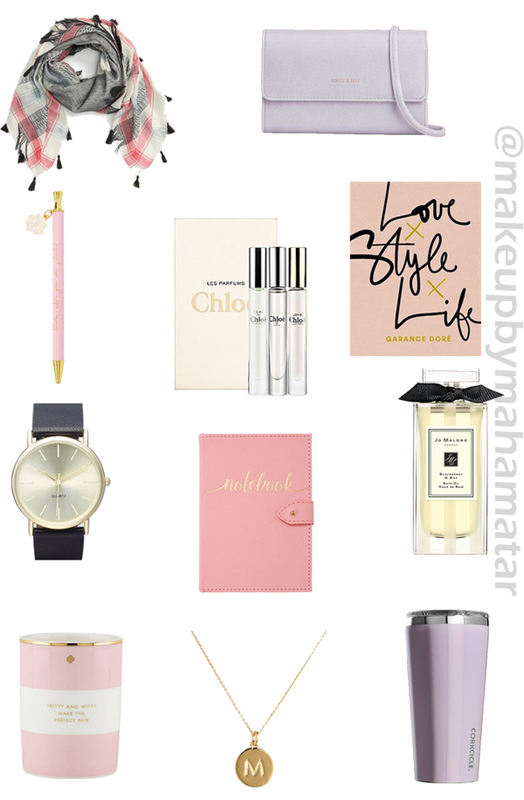 I truly don’t think you can go wrong in gifting any of these delightful, practical and petite gifts. Countouring and Highlighting Magic Sticks! Exfoliating Toners…what are they and do I need one?